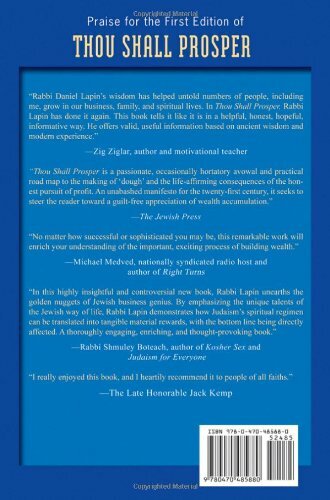 The ups and downs of the economy prove Rabbi Daniel Lapin’sfamous principle that the more things change, the more we need todepend upon the things that never change. There’s no better sourcefor both practical and spiritual financial wisdom than thetime-tested knowledge found in the ancient Jewish faith and itsculture. 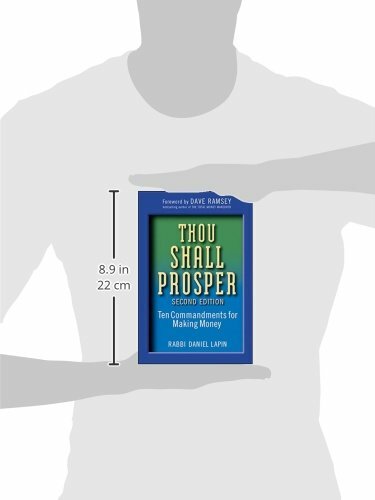 In the Second Edition of Thou Shall Prosper,Lapin offers a practical approach to creating wealth based on theestablished principles of ancient Jewish wisdom. 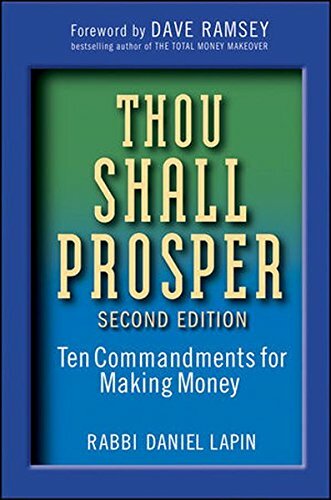 This book detailsthe ten permanent principles that never change, the tencommandments of making money if you will, and explores the economicand philosophic vision of business that has been part of Jewishculture for centuries. The book’s focus is on making accessible toindividuals of all backgrounds, the timeless truths that Jews haveused for centuries to excel in business. This Second Edition provides new examples, especially ofInternet related business opportunities. In addition, each chapterhighlights specific action steps that can lead to wealthopportunities in both difficult economic times and periods ofprosperity.